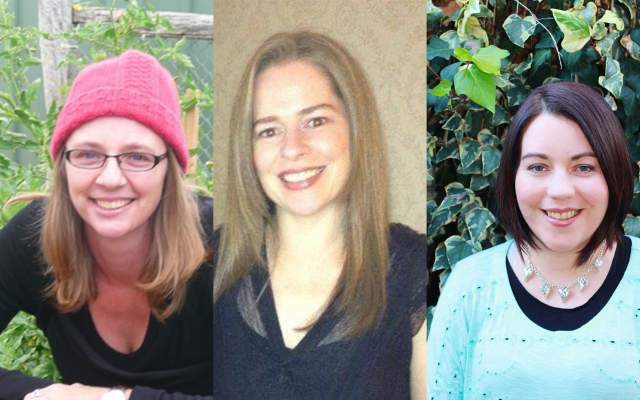 2013 has been a busy year for Australian authors Rachael Johns and Juliet Madison. Rachael released two rural romance novels Man Drought and Outback Dreams this year, to follow up her 2012 best seller, Jilted; while Juliet released her debut romantic comedy, Fast Forward in February. These two ladies write fast! In addition to writing the full length novels I mention above, both have also written and released novellas this year. Rachael’s new 32,000-word novella, The Kissing Season hits e-book shelves in December. And for Juliet, the latter part of 2013 has seen back to back novellas released with her publisher (and mine) Escape Publishing. The first of these was I Dream Of Johnny a 16,000-word novella; and then Starstruck in Seattle, at 15,000 words. As for little old me – I’m nowhere near as prolific as either of these two. The sum total of what I’ve managed in 2013 is the 32,000-word novella, The Goodbye Ride, and my soon to be published 80,000-word contemporary romance, Fairway To Heaven. With all of us launching new titles very soon, I thought it’s a wonderful opportunity to get together, to chat about why we write a mix of novels and novellas. 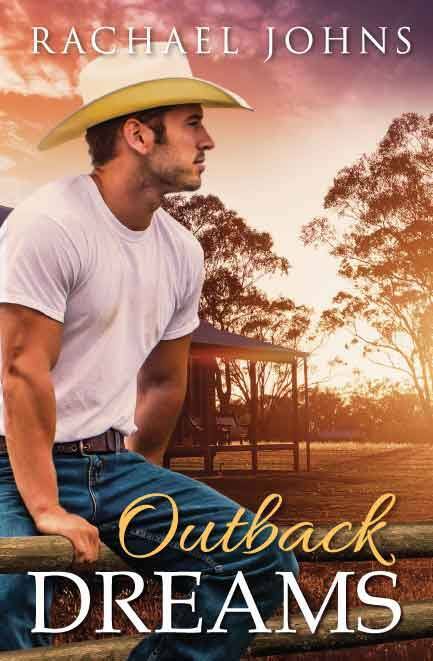 Rachael, Man Drought was 110,000 words, and your ‘Outback’ series ranges from 95,000 to 110,000 words. Juliet, Fast Forward was 75,000 words and the two novellas both under 20,000: so which do you prefer writing, novels or novellas, and why? Rachael: If I had to choose I’d say novels. I like being able to delve deeper into characters and get more of a meaty plot going on. Also I tend to naturally write long. I always aim for between 90-100k in my Single Title novels and often go over and when I sat down to write The Kissing Season I was aiming for 18-25k and it came in at 32k. It could have been longer. For me, I think novellas are great to let me explore a different kind of setting or type of story and have a break between my rural books. You are both prolific authors (in my opinion), how quickly can you write when you get going? What do you count as a good writing day, in terms of words on the page? Rachael – Until I look back on what I’ve achieved I don’t actually feel very prolific. Man Drought took me about four months for the first draft and then probably another month and a bit all up to get through the various editing stages. I think I wrote The Kissing Season in about a month and the edits have been very minimal. The fastest book I’ve ever written is Outback Blaze (out May 2014) – I wrote this in 2.5 months, while also doing edits on another book. This occurred because there was a little mix up with deadlines but it was great to see how much I could actually write when I put my mind to it. Saying that, ideally I’d prefer to have between four to six months to write each full length novel. Juliet: I average about 1500 words per hour. Lily: OMG – my jaw just hit the floor! Juliet: When I set aside time to write, I don’t do anything else. I set a timer and sprint. I’ve found this to be the most productive method for me. When I edit or plot however, I often check Facebook and Twitter periodically so I’m not as productive then! A good or ideal writing day for me would be to get 2000-3000 words on the page, which I edit later on. This doesn’t always happen though, some days I don’t get to write at all, but I do my best to work around other aspects of my life! Fast Forward took about four months to write, and of course my two novellas were much less because of the short word count, maybe about two weeks. I think Starstruck was about 3 to 4 weeks all up because I did a lot of research about the Seattle area. My most recently completed manuscript, the 84,000 word February or Forever (releasing in Feb 2014) I completed in a record 27 days! Not consecutive days, I think all up it was just over two months of actual time passing, but the number of days I worked on the book was 27. I didn’t sleep much. Lily: I started Fairway To Heaven in July. I’m hopeful of having it published before Christmas. We shall have to see if I make it. I try to write every week night after my kids are in bed (unless Sons Of Anarchy is on TV, or we have Justified DVDs on order). This usually gets me about 2-3 hours. Unfortunately some nights it’s not great quality hours as I might have had a bad day, and just be too darn tired to write. Do you revise as you go, or are you ‘get that first draft down however crappy it might be’ writers? Rachael: I write a pretty fast first draft but I kind of revise as I go. When I sit down to write each day I always read the last scene or chapter to get back in the zone and I tweak and edit as I go. I actually don’t do major rewrites until an editor tells me to because I HATE rewriting. Juliet: I’m the same. I prefer writing over revising. I write a fast first draft, but I also do basic editing as I go. Once I’ve finished the day’s writing I usually edit before the next writing session. Then when the manuscript is finished I do a couple more rounds of editing. What are the triggers that make you decide whether a book has a full-length capability, or might be a shorter novel? Rachael: It’s usually down to my reason for writing. I’ve only written one novella and that was an experiment in a way. I wrote my novella in the beginning because I wanted to submit to the Carina Press call out for holiday submissions for their anthology and the world limit was 35k. I also wanted to see if I could do it, cos as I said before, I’m not that great at writing short. So I guess for me, it’s a matter of thinking about where I might place this novel, who might publish it, how and why. I’d love to write at least one novella a year now because I think they can be a lot of fun to read and write and a good exercise in writing fast and getting a project done! Juliet: For me, the story idea always comes first, and then I’ll decide whether it needs to be a novella or novel. For I Dream of Johnny, although there was the potential to make it a longer story, I ultimately thought it would be best to be short, sharp, and snappy. The concept (getting a Geek God instead of a Greek God) could have become tiresome if it was developed over a longer format. With Starstruck in Seattle, again there was potential to develop the story further, but I decided I’d rather have a series of short, sweet stories with different characters but linked by the recurring character of Lulu the Love Angel, so I could focus more time on writing the stories that I know need to be full length. Lily: It was actually a comment by Rachael Johns on Facebook or her website that was the catalyst for me writing The Goodbye Ride. I wrote it for that same Carina Press anthology, Holidays and Harleys. That book just came to me, I think at 32,000 words it was a solid story from start to finish – though as I mentioned, I did toy with developing more of a story based on the two gay characters. Which sells best for you (so far?) And if you broke it down to word length vs return – do you know which is working out best for you? Rachael: Are you asking me to do maths? Cos let me tell you now that is just NOT going to happen! Okay… let me try and analyse the question a moment. By far my most productive books (profit-wise) have been my rural romances (full-length novels with Harlequin Australia). The majority of my sales are still in print and I found that my Carina Press digital-only sales increased once I had a print book out. I think those who’d found me through print, then went looking for what else I had out there and bought the digitals. My novella is only releasing in December so have no idea how it’ll go, but as it is shorter in size and only digital, my guess is it may not sell as well as my longer novels. Please folks, buy it and prove me wrong. I think to build a successful career as a writer, it would be a good idea to put both types of stories out – novels and novellas. The shorter length books are a nice way to give your loyal readers a little something between longer novels, which (at least with traditional print publishers) are generally scheduled further apart. Juliet: Ditto on the maths. I’ve only been published a short time so I don’t know for sure yet (the length of time between when a reader buys a book and when the author gets paid is LONG). But so far it seems that my full length novel Fast Forward might be selling the best. Is this because of the story or because most people prefer full length books? I have no idea. I’ll know more in another year or so when the books have been out for longer! Lily: Yes ladies – I asked you to do maths. We’re all writing brains here, so I hate maths as much as the next author! For me, The Goodbye Ride has sold (or given away) more copies than His Brand Of Beautiful, which is all I have to measure against. The one thing for me that is slightly different to you is that The Goodbye Ride was self-published using Amazon Kindle Direct and so I’ve been able to do free promotions with it, and I’m sure these have helped sales – as they certainly helped me get more reviews for that book. My goal with Goodbye Ride was to get another Lily Malone book in the marketplace soon after His Brand Of Beautiful, and certainly I think Goodbye Ride helped boost sales of my debut book. In the various free promotions I’ve done, I would have ‘given away’ thousands of books. Of course, not everyone reads their free books! Certainly I have a heap of them on my Kindle, and I’ve now lost track of why I clicked to ‘buy’ or ‘download’ them. 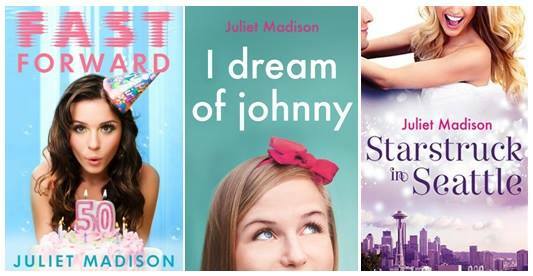 What do you think your fans prefer to see from Rachael Johns & Juliet Madison – a new novel, or a new novella? Rachael: This is kind of only a prediction cos as I said above the novella is only new but I’d say the novel wins hands down. Most of the readers I’ve talked to think the longer the better. They love getting consumed by the world of the novel and I’m scared they’re going to wish my novella was longer. Juliet – Some of my novella reviews say they wish the story would continue, so I’d say novel too. But a lot of people like that they can read a novella in one sitting, on a lunch break, commuting, or before bed so they get to experience a complete story in a shorter amount of time. The good thing about novellas is I can write and publish one fairly quickly, so there is less time to wait between stories, whereas with novels the reader has to be more patient! Lily: Cooo-eee! Fans? Helloooo fans… please feel free to tell me! Do you write what you want to write… or, if fans of say, Man Drought or Fast Forward asked you to write a story about other characters that feature in your book, would you let that guide you to writing perhaps, a novella about those characters? Rachael: To an extent I try to write books that speak to my heart and my passions in some way, but saying that at the moment, most of my readers are expecting rural-set books and I’m trying to give them what they want. I’m definitely open to feedback from readers. In fact, I had a lot of emails and FB messages after my first book Jilted came out – people asked what happened to Flynn and Ellie after the book and wanted to go back to that world. To me Flynn and Ellie’s story was finished but I wanted to give the readers what they wanted, so I’ve just contracted to write another book in the town where Jilted was set. This story is about Lauren (the nasty nurse) in Jilted and it’ll be interesting to see how readers react to me reforming someone not many people liked. Look out for The Road To Hope (Lauren’s story) in 2015! Juliet: I do focus on writing what I want to write because I think for a book to be authentic and enjoyable the author needs to ‘want’ to write it. Now that I’m published though, I am also looking at being able to provide more of what my readers want, but first and foremost it has to be a story or genre I’m passionate about. I write romcom, women’s fiction, and also YA, so I do need to be strategic in my approach in order to make sure I’m not spreading myself too far and wide. Do you think novellas are only ever going to appear in print if they are part of an anthology? Are they currently stand-alone e-book prospects only in your opinion right now? Rachael: Yes, I think so. The shortest ‘novels’ I’ve seen in print are Mills & Boons, which start at around 50k words. But I think times are constantly changing so who really knows! The future is exciting! Juliet: I’d say so. Digital books are easily accessible and novellas are great for this format. Plus, if in print they would probably look more like a booklet or children’s books as many aren’t long enough to have a spine! Lily: Pretty sure they’ll only be e-books, but one of the beauties with e-books is you can write as short as you like. This is such a new era of publishing. Rachael: If it was a favourite author I’d stretch to about $5 for a novella, but I wouldn’t pay more than $2 on an unknown. I think in Australia readers are still paying quite high prices for all e-books (novels or novellas) but the prices we pay, people overseas would shirk at. Juliet: I’d think twice if the novella was above $5, as many full length books are below this price. Having said that, if the story was one I just HAD to read for some reason, I’d probably one-click it anyway! Thanks ladies for joining me here today, it’s been fab! These are two authors certainly worth checking out online. And – if you want to follow either or both of them on Twitter (or me for that matter) you’ll find us all there too! The Goodbye Ride is available on Kindle only, from Amazon. View it: here. His Brand Of Beautiful is published on all e-book formats. View it: here.